The last we heard the Zelda Wii U was delayed, which is something Nintendo always does. Wondering how things are going? In the most recent issue of Famitsu, series producer Eiji Aonuma was asked just that. “Busy,” he replied. Continuing, he said, “When we did Skyward Sword for the Wii, at the end stages of development, I was in charge of the characters’ dialogue and the in-game text. And, now as well, it’s like it was then. I had to work on text today, too,” he said with a laugh. “Please look forward to it, because I think we’ll be able to make ‘something new’ like Ocarina of Time was,” Aonuma added. 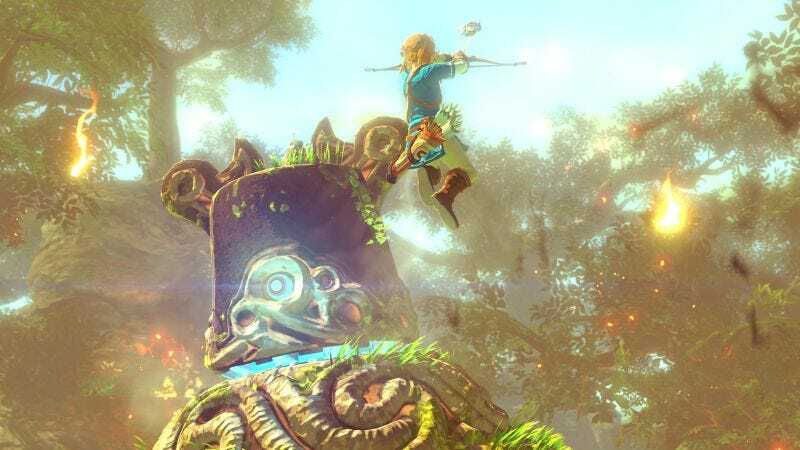 Previously, Kotaku reported that the new Zelda will be open-world and might not have the puzzles players have come to expect.